If you are planning a visit to this wonderful city of Bangalore, you must be looking for some good options to stay. If you are having confusions in your mind and still not able to make a stand about where to stay in Bangalore, so that you do not go there just to sleep but having a different experience altogether. 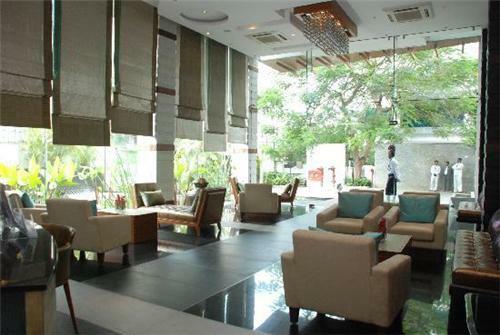 Just have a look at some of the most famous resorts in Bangalore that are on the list here. The city is brimming with the resorts that cater to your individual needs such as those which offer corporate stays, family stays, individual stay, stays for groups and last but not the least, those which offer stays for couples. Most of these resorts are based on calmness, beauty and adventure and some of these cuddle you with Spa, you will definitely love it! Where: It is located at Kanakapura Main Road, Bangalore South Taluk. It boasts of being the first cave resort of the country. The place gives you relaxing experience from the daily hustle bustle of the city. Ingrained under the surface of the earth, it gives a perfect setting to spend lazy evenings with your family, where you can also go for long, serene and rejuvenating nature walk right over the wide spread lush green land. The resort caters you some great delicious food, that you will surely drool over with super comfortable rooms that everyone will love to rest in. Valuable Tips: A typical day outing here with breakfast that includes welcome drink, lunch and tea with snacks will cost you around Rs 800. Where: It is located on the outskirts, about 25km from the main city of Bangalore. Spread over 25,000 acres of land, having forest that is preserved carefully, gives you the opportunity to have a feel of the forest camping. The lodging is done in the middle of the forest, where you will be taken to Lion and Tigar Safari which is perhaps first of its kind in all over the country. The resort is filled with cottages and tents which are equipped with all modern amenities such as air-conditioning, ample of space, basic furnishing and attached toilets. Valuable tips: A day visit to this resort costs around Rs 750.00. The package includes, Herbivore Safari, and Lion- Tiger-Bear Safari with Lunch, Tea/Coffee. Where: It is located at the Richmond Road in Bangalore. The vicinity of residential and commercial complexes around it, adds to the specialty of the resort. You will be lodged at a point that gives you the best of the city and nature both. It is the most apt place to enjoy a weekend in Bangalore. It is quite an apt place for families, business executives and corporate travelers. Here you can avail the facilities of a five star luxury hotel and yet it will be soft on your pocket. Valubale tips: It is connected to all the major cities through Rail, Road and Airways. It will cost around Rs 29,000 for a weekend package for two. Where: It is located at Golden Palms Avenue, Off Tumkur Road, and is one and a half hour drive from the city. It is a Mediterranean style, 5 star deluxe resorts. With lush foliage, exquisite architecture, sprawling lawns and landscaping, you will feel an ambiance of paradise. It is the place where you will avail all the modern amenities and services of a five star hotel with elegance and with a dash of colonial charm. The hotel has 150 rooms with suits. Day outing can also be availed here. Valuable tips: The Resort also offers various spa treatments. The deluxe room spa treatment ( 2 nights & 3 days) costs around Rs 16000 per person. Where: It is located on the Main Doddaballapur Road in Rajankunte, Bangalore. It will take around one hour from the M.G. Road to reach here. If you are looking for an enlivening experience infused with Asian heritage and are yet contemporary and chic, go for it. It is a perfect place for those who seek style and authenticity. Valuable tips: From time to time, the resort offers various packages for spa treatments, body therapy, Thai herbal therapy and much more. Rates start from Rs.65,000 (including taxes). Where: It is located in Bangalore-Mysore highway. With modern amenities and lush green environment, the resort boasts of its International Standard Golf Course. Providing facilities for corporate tours, it is a perfect place for those who believe in the concept of business blended with pleasure. Valubale tips: The tariff is around 6000 to 7000 INR. Eagleton is a championship Golf course, weekend getaway, Holiday Resort, Conference place, Family Home, Guest house, Country Club all rolled into one. Where:It is located at Jade Garden, Sadahalli Village, Devanahalli Tq, Bangalore. It is around 25km from the main city. Excellent banqueting, an awesome restaurant, a bar, a poolside lounge, conference facilities and a fully equipped health club. Here you will find yourself right in the lap of nature away from the hustle-bustle of city life. Valubale tips: The resort has a place for Indoor Archery, TT, Badminton court, volleyball ground, swimming pool, conference hall and cricket ground. The tariff is around, 2,700 INR per head. 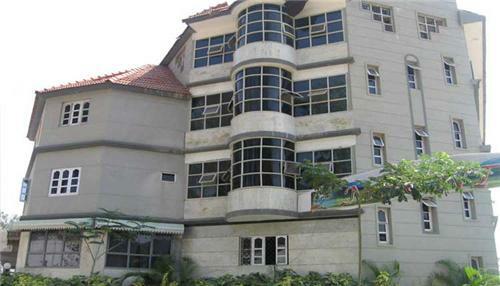 Where: It is located at Varthur Hobli, Deevarabeesanahalli, Sarjapur Road in Bangalore. From any part of the city you can easily reach here. The place is perfect for the get-togethers and for the whole family outings. It is also famous for its leisure and cultural activities. The Country Club attracts tourists from all over the country and the globe. Valuable tips: It is located at the most happening place in Bangalore, the usual tariff is around 3,500 INR. Where: It is located at Singasandra, Off Hosur Road in Bangalore. Here you will find yourself rescued from the hustle- bustle of the city, but still close enough to the booming suburbs of the I.T. City. It is a perfect place for business conferences, family get together and corporate outings. It is truly an oasis of serenity spread over 16 acres of land. 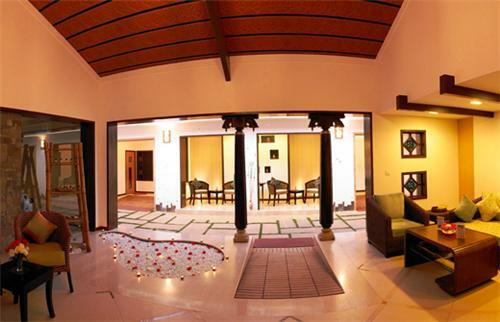 Provided with modern amenities, it has 32 Resort Rooms, Cottages and Suites. In a nutshell, it is surely an experience never to be missed! Valuable tips: The usual tariff is around 5,000-6,000 INR. Where: It is located at Ananthapura Gate, Doddaballapur Road, Yelahanka in Bangalore. It is an ideal place that is perfect not only to spend your weekends but will keep coming back here even on the weekdays. It is a perfect place for business and leisure. Along with unmatched hospitality, it has 87 luxuriously appointed rooms and suites. Valubale tips: It's close proximity to the Airport, makes it easier and smoother to check in and out of the International travelers as well. The usual tariff rate is around 4,000 to 8,000 INR per head. With scenic views and surrounded all around by beautiful hills, love is in the air in Bangalore. And the same holds true for the beautiful spellbinding resorts here that will leave you just amazed. Here you will find yourself completely lost in the divine love and will definitely come out discovering a new meaning to it. Here are soem of the best resorts for couples in Bangalore. Where: It is located at Hessarghatta in Bangalore. It is a soul spa and an eco-resort that gives you with immediate respite from the maddening city life. It is one of its kind in the whole city where you will be amazed to find that even the soaps you are using are handmade and is 100% free from chemicals and are totally organic. The theme here is based on being as close as possible with the Mother Nature. You will find yourself lost in the purity of romance. It is a place where birds keep humming the love sons with you and the fragrant air will take you to just another world, the only thing you will find between you and your loved one is just love. Valuable tips: Play village games like Gulli-danda, have a perfect village experience, get creative and indulge your self in pottery making, enjoy a love ride on a bullock cart and much more to discover at around 8,000- 12,000 INR per head. Where: The exact location of this resort is Karahalli cross, Nandi Hills Road, Devanahalli Tq, in Bangalore rural Dist. However, it is at distance of 48kms from the main city and it takes nearly one hour to get here from Bangalore. 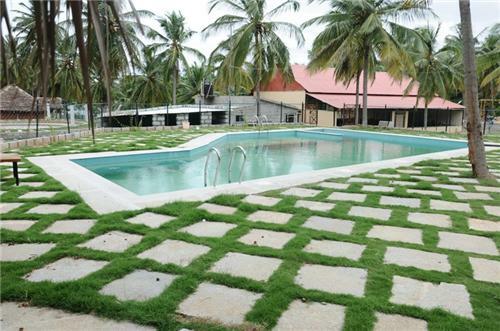 This awesome resort is is approved by Karnataka State Tourism Development Corporation ( KSTDC ). You can enjoy here recreational activities that include indoor & outdoors activities and Fun games. It is a perfect place for couples who want to spend some lovely moments and to intensify their experience of being together. The honeymoon suite and Valentine Suite here come with specially designed accessories for just both of you. Valubale tips: It is the perfect getaway for couples where you can truly admire being with each other. The usual tariff is around 3,000 INR per head for special suites for couples, however for simple rooms it will cost you around 1,500 INR. Where: It is located precisely in Northwest Country, Main Doddaballapur Road, Rajankunte in Bangalore. It is located on a 40min drive from the main city and a 45min. Drive from the Airport. The resorts offer various activities that you can enjoy together with your counterpart, also you can avail honeymoon packages at this place. The serene environment of the resort will revive and revitalize your soul. Also the resort has a super awesome spa that you will love for sure! Valuable tips: The resort has a team of in house “Romantic Consultants” that help you to plan your special day and will guide you how to transform a simple day into a perfect romantic day for your belle. Isn’t that just wow? Where: It lies exactly at Vaderahalli, B M Kaval, Kengeri Hobli Off Kanakapura Main Road in Bangalore. Located within the limits of the city, It is at an hour’s drive from the Airport. The tag line of Khedda resort says that “Rediscover nature at its most serene setting”. And you will find that it is true indeed, word by word. 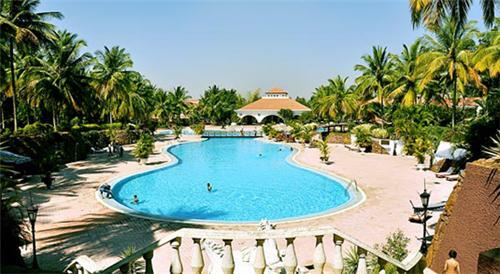 Dotted with Areca nut and coconut trees, the resort has a lush green land spread over 20 acres of area. The tranquility of the place takes you to another world. It is a perfect place for Couples, who are on a romantic getaway and are looking for relaxation and rejuvenation. Valubale tips: Here you can enjoy in house activities such as rain dance, Throw ball, Football, tug of war, cycling and cricket. However, you can also try your hand at beach volleyball and boating. The tariff is around 3,000 INR. Where: It is located on Old Madras Road (NH4) just just half an hour away from Bangalore. If you had planned a visit to Egypt for your honeymoon and have missed that, no problem, the Confident Amoon Glamour Resort is an Egypt, right in the Bangalore. Yes! That's true. With even facilities named after Egyptian history and gods, the resort set in to the tranquility and serenity of the beautiful landscaping. It would be apt to say that the place is totally filled with the air from Egypt. You can not feel the awesomeness of the place unless you go there. Valuable tips: The resort provides you the luxuries such as, Private Saunas, Dome Shaped Discotheque, Exclusive Presidential Chalets, Beer Parlor, a Mini -Golf Course, a little Cricket Stadium and much more. Where: It is located on the M.G. Road, right in the heart of the city amidst shopping malls and business centers. It is known as the pioneer amongst luxury hotels. The hotel has specially crafted experiences for couples and honeymooners. The gracious service, luxurious rooms and exotic international and Indian cuisines add to the inimitable experience. A typical honeymoon package here includes special spa sessions and special evening amenities armed with the things that will surely woo your better half such as floral bath and assorted chocolates. Valuable tips: The hotel also provides a special experience of renewal of vows in a special Hindu ceremony, with all the traditions and ceremonies. You can avail it at a cost of around 1,000,00 INR for a couple. You will definitely love to be a typical Indian bride and groom respectively. The tariff ranges from around 20,000 INR to 50,000 INR.